"Why I Turned Down Silicon Valley for Washington, DC"
This dilemma is a catch-22; only the well-off can attend college debt-free, yet the gap between college and high school grads is growing. In 2012, Abigail Seldin set out to solve this problem. She heard her mother-in-law, the president of a small college in Pennsylvania, discuss how hard it is for families to navigate financial aid. Seldin and husband Whitney Haring-Smith saw potential for disruption, and created College Abacus. 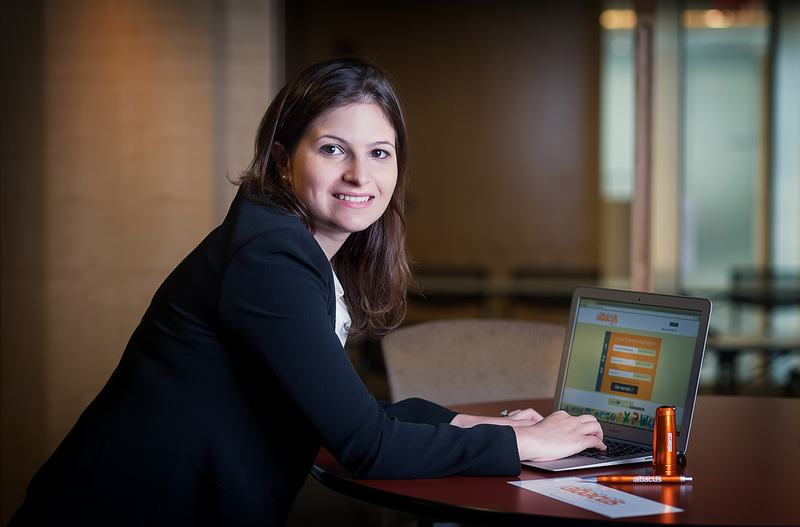 It’s been called the “Kayak of college financial aid” – and Seldin admits that her rise to startup success has been “Pollyanna-ish.” Just two years after launch, College Abacus was acquired by Educational Credit Management Corporation (ECMC) for an undisclosed seven-figure sum. College Abacus – a cost calculator for families to find out which schools will offer the best financial aid packages before applying – is a public service. Seldin is adamant about keeping it that way – and equally certain that she made the right choice by keeping her work in Washington, DC. “There is an incredible camaraderie within the DC startup scene that you don’t find in other cities,” Seldin told The Next Web. Seldin abandoned a Rhodes Scholarship at Oxford to launch College Abacus. It’s no accident that her idea was acquired by the ECMC – a guaranty non-profit agency for the US Department of Education. Even back in England, she felt strongly that the DC startup scene was where her work would thrive. But her resolve was tested at times. After winning $100,000 from the Gates Foundation’s College Knowledge Challenge, Seldin and Haring-Smith caught the eye of Silicon Valley. They received offers from some of the biggest names in investment – and turned them down to stay in the heart of their industry. To join the debate on student loan debt, Seldin felt strongly that the DC market was where their business needed to be. The acquisition by ECMC has made Seldin its VP of Innovation & Product Management. She’s also a strong advocate for using DC as the place to launch a startup. As with incubator 1776, Seldin argues that for startups disrupting regulated industries, there’s no better market than DC (Seldin is a judge for 1776’s 2015 Challenge Cup). The lack of diversity that plagues the Valley is eased in the District, which has the most female-owned businesses of any metropolitan area. Six out of the top ten richest US counties lie around DC. But the city’s also home to one of the nation’s widest wealth inequality gaps. All of this, Seldin says, makes DC a city ripe for social innovation. Following the acquisition of College Abacus, she is focused on expanding her team – and spreading the word about what the DC startup scene can offer. This post is part of Web Summit ’s Global Blogger’s Network, a series of articles on startups in the Washington, D.C. Metro area. The 4th annual Web Summit concludes today in Dublin.